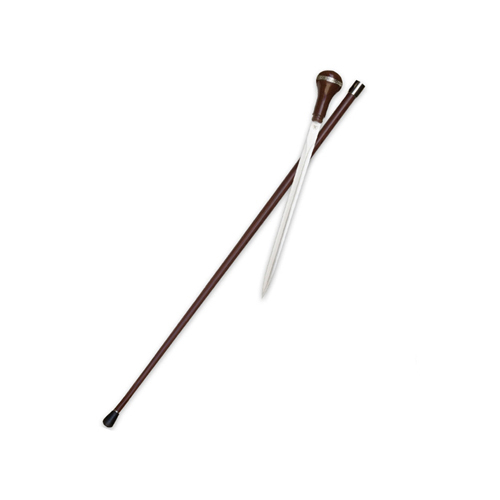 Plain old canes get really boring, but this BUDK exclusive sword cane is anything but boring. Its dark hardwood construction is built tough, but remains formally stylish. A perfect-sized cane head features an intricately detailed stainless wrap that when twisted unveils a 12 1/2" antiqued stainless steel sword. A removable rubber cane foot can be taken off to display a more stylish stainless tip when used more for show than walking stability. 36 1/2" overall.